The Flash 5.1 "Nora" Recap: Nora is Here! Is That a Good Thing? 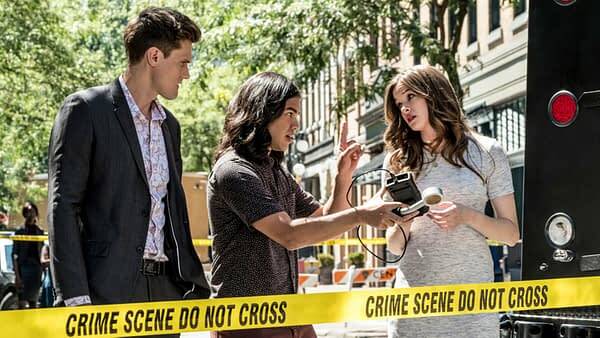 Home » TV » The Flash 5.1 “Nora” Recap: Nora is Here! Is That a Good Thing? 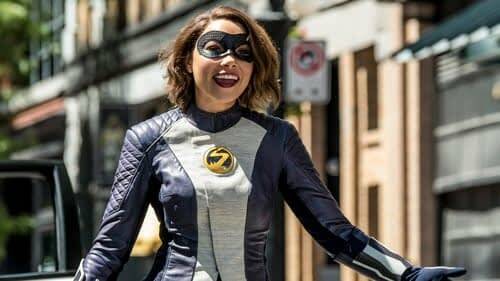 The Flash made its return last night, and with one big addition to the cast: Nora West-Allen (Jessica Parker-Kennedy) is going to be here to stay for awhile as the premiere picks up right from the end of last season’s finale. 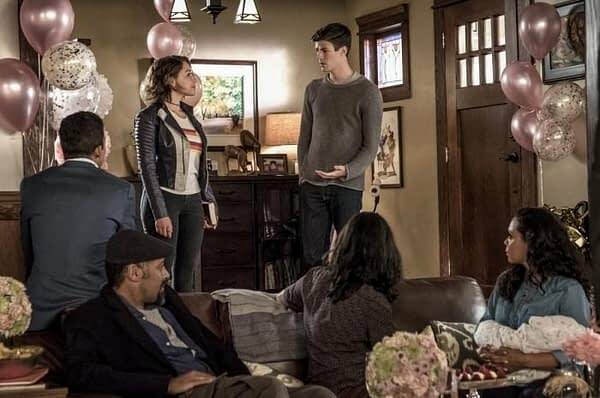 The scene of her explaining herself to is great fun (the booze helped I am sure), and its great to see that after four seasons of craziness a stranger appearing and claiming to be Barry and Iris’s daughter from the future is just accepted to be true so fast. Nora is okay here. When she is geeking out about being around Team Flash and dropping little DC nuggets here and there (Lightning Lad, Mob Rule, and Ryan Choi are all name-dropped) she is great fun, and a welcome addition to the team. It is when everything slows down a bit that the showrunners seem a little to preoccupied with the characters secrets to the point of distraction. She has such great chemistry with Barry and Iris (although they make it a point to show that she feels distant to Iris), they should have just let that breathe a little more instead of diving right into everything. Barry is super concerned with altering the timeline, and stresses that over and over again. He even makes a great joke about “McFlying herself out of existence” to which the un-hip Iris wrongly chalks up to Terminator 2. She screws something up almost instantly though, as this weeks villain-of-the-week Gridlock gets away from Barry after Nora rushes to his side to help and just ends up distracting him. He was supposed to be a “one and done” as stated in the Flash Museum in the future (who wants to bet that comes into play a ton this year), and now at the end of the episode Nora, Wally, and Barry have to phase a plane Gridlock has caused damage to through a building. That was pretty cool. Seeing Barry take Nora under his wing was pretty neat. Barry is a very selfless character (when he isn’t selfishly “fixing” the timeline) and that is on full display here by the end. Turns out Barry disappeared in the future when Nora was quite young, and he missed, well basically all of her firsts. As a matter of fact, he was gone for 25 years after the Crisis from the newspaper headline we have seen countless times. Barry however is more sad for how this affects Nora more than anything, and by the end he experiences a first with her and the phasing, and it bonds them to the point where he decides we don’t need to be sending her back to the future quite so fast. It was very sweet, and sweetness is something this show has been missing for awhile. -I wonder if Lightning Lad is part of the same version of the Legion that is on Supergirl? Has to be right? Also: hearing Nora do this episodes narration and calling herself XS was pretty awesome. -Let’s keep Wally with the Legends. He deserves much better than this show gives him, with its large ensemble he gets completely lost in the shuffle. That sounds stupid since Legends works the same way, but he gets more attention there than he will ever get here. -Cisco was hilarious here. His drunkenness needs to be a weekly thing (for comedy, not as an alcoholic). -Kaitlyn and the whole Killer Frost thing and her return: we know this is inevitable, I just hope that is doesn’t take forever. let’s get this out of the way faster. -Ralph and his “discovery” of the “Many-Verse” was one of the funniest Flash moments ever. Ralph is perfect on this show, I am so glad he is here. Great Indiana Jones reference this week! -Grodd and King Shark team-up got casually dropped in there as well. I am pretty sure I remember them mentioning that this was happening over the summer, and hopefully soon. -Hilarious that there is a whole wing of S.T.A.R. Labs that the team didn’t know existed. How convenient! And that Joe used the area to nap is even better. -Future slang can be lame, but I loved the Iris/Nora interactions that came with it. Shway cool. -Barry’s new suit is awesome. Hands down the best on the show so far. The Flash has never really had a costume problem as far as I was concerned, but this new one is for sure the best one yet.That it was designed by Ryan Choi is even better. Let’s get him on here! -The Flash ring! 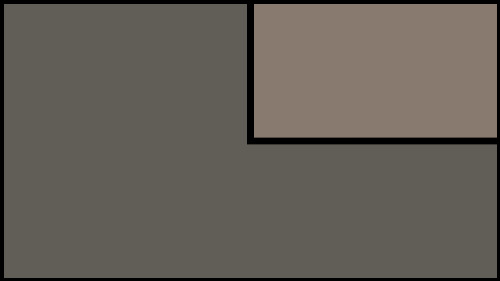 Collest moment of the entire episode. -Cicada made his grand entrance at the ends, and seemingly took out Gridlock. The costume looks…interesting. We shall see I guess. -Techno-babble meter for this week: 5/10. Not too bad, but there was a lot going on in this episode.